Acorn Iberian paleta. D.O. Denominación de Origen, Jamón de Jabugo. Limited number of items. 100% pure Iberian. For gourmets. 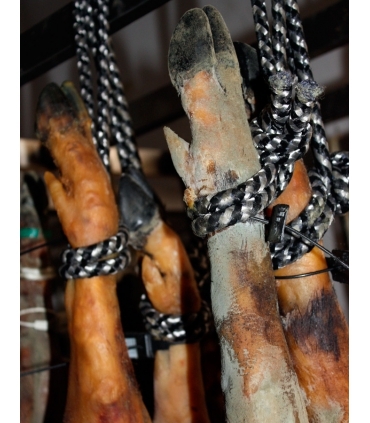 These paletas (forelegs) of acorn-fed pigs, DO Summum Jabugo, have the same origin as the hams DO. Available in weights from 4.5 to 6 kg. approx. Optimum curing in natural dryers in the Sierra de Aracena (Corteconcepción). 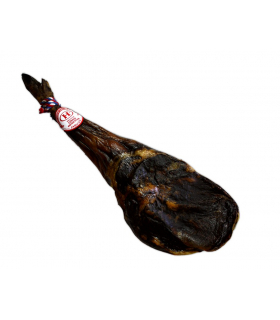 Paleta from Iberian pigs that are fattened during the months they spend on the mountains eating acorns (from holm oaks and cork oaks). 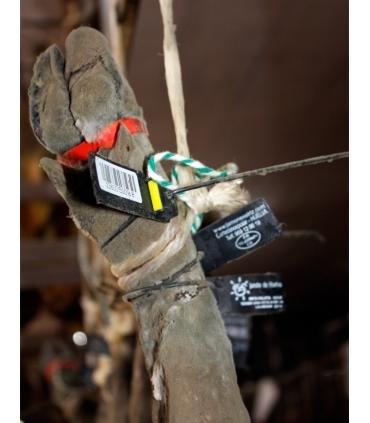 During the process - from rearing to curing - traceability is controlled by the Denominación de Origen technicians. 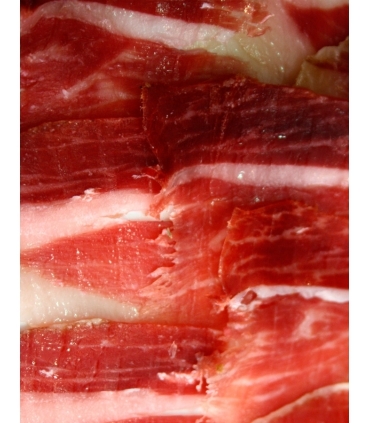 Slow curing in a natural dryer after a traditional creation process, following the artisanal process of the master ham makers of Jabugo. The production area is located in the town of Corteconcepción, near the municipality of Jabugo. 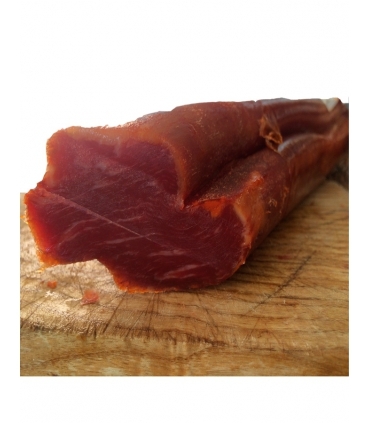 DO Jabugo, 100% quality Iberian acorn-fed. With a sharp knife or a "jamonera" (a special support for an Iberian ham), we can taste and appreciate all these Iberian acorn paletas.